Devoted fashion and magazine lovers already know Alexi Lubomirski’s artwork which is being presented in his first book »Decade«. But what’s the secret behind this outstanding photographer? It may have something to do with family relations. The amazing Hana Jirickova poses dynamically through the color-boosted pop art editorial »Aros« by Danish photographer Hasse Nielsen. An electrifying masterpiece! America in the ’60s... the young and beautiful pose for an epic editorial shot by Vincent Peters c/o Open Space Paris for Vogue Italia. Australian pop duo ‘Say Lou Lou’ pose for British Vogue. Photographer Nik Hartley captures the twin sisters beautifully creating a real gem of an editorial. Jan Welters c/o Open Space Paris brings together a very cool looking editorial and cover shot for ELLE France starring the stunning Russian model Anne Vyalitsyna. Stylist Claudia Englmann has brought a wonderfully sunny and tropical glow to the latest Vogue Germany editorial starring the gorgeous ‘Sunshine Lady’ Nadja Bender. Photography by Giampaolo Sgura. 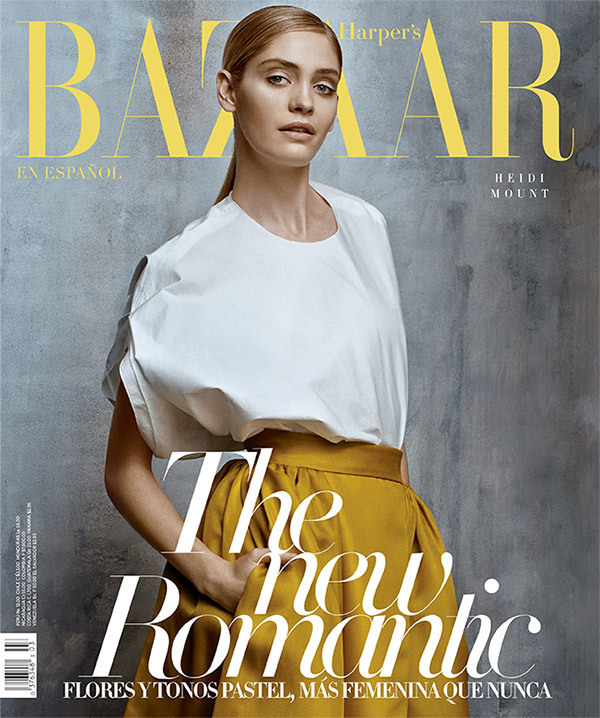 Stunning Heidi Mount is captured in a »New Romantic« story for Harper’s Bazaar Mexico and Latin America. Photographed by Hans Neumann and styled by Heathermary Jackson. The great photographer duo Hunter & Gatti shot the new spring campaign for fashion label Massimo Dutti. Accompanied by the shadow of a running horse, Carolyn Murphy, Esther Heesch and David Gandy pose beautifully in chic and timeless sportswear.